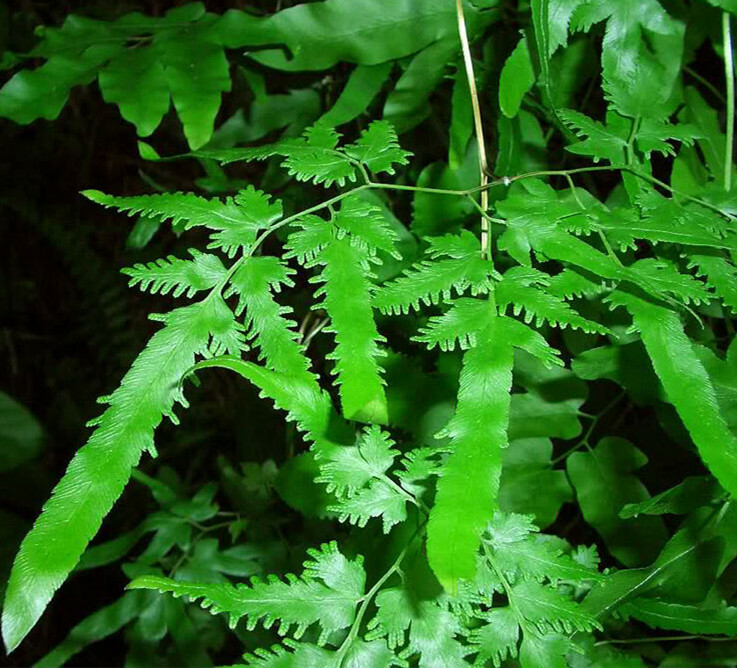 The drug is the dried or fresh whole herb of Lygodii Flexuosum (L.) Sw. (Family Lygodiaceae), growing in or near forests, and distributed in Fujian, Guangdong, Hainan, Guangxi, Guizhou and Yunnan of China. Sweet, slightly bitter, cold; liver, large intestine and kidney meridians entered. Whole herb is used to relax muscles and tendons, promote blood circulation, clear heat and eliminate dampness, stop bleeding. Numbness due to rheumatism, urinary tract infection, calculi in urinary system, edema due to nephritis, dysentery, externally for traumatic injury and bleeding, etc. Decoct 10~15 g. Proper dosage is for external application, decocted for washing or made into ointment for applying.